A friend recently asked me when I started writing poetry. Two words: junior high. Isn’t that when most people start writing poems? That moment in childhood when emotional angst is at its sharpest? It’s not what I would have chosen as my writing specialty but twenty-three years later, I’ve realized what a gift it is and I’m still at it. I understand that poetry is not everyone’s cup of tea but here is the thing. Writing poetry, whether it is your passion or not, can greatly help all of your other writing by making it stronger and more colorful. Though I am sure there are more, here are three ways learning to write good poetry will help you be a better writer. Show Don’t Tell – Good poetry doesn’t tell you what it’s about, it shows it. Instead of saying the sun is shining, a poem talks about the brightness of the sky, the light through the leaves, or the heat on the skin. Instead of telling someone where your setting is, show them. Describe the plants, buildings, and people. Show us what it feels like to be there. Does someone touch a cactus? What is it like to walk through the forest and feel the creek flowing over one’s feet? How does someone who is unfamiliar with the hustle and bustle of a big city get pushed about? Whatever you may be writing, whether it’s fiction or non-fiction, help us know for ourselves what you’re talking about and let our imagination fill in some of the details. Use Fewer Words – Unless you’re writing an epic poem, and even then this holds true, you have a limited space to convey your point. In just a few lines, you need to grab the reader and leave them with something to think about. You simply do not have the space to waste with unnecessary verbiage. Say it with less and leave a longer impact on readers. Instead of writing, “The sun was very hot and my face was red with a bad sunburn,” try, “The scorching sun burned my skin.” If you use fewer words, the reader has less to keep track of and the point is clearer. Don’t Repeat Yourself – When I’m writing poetry and I use a word, I don’t get to use that word again unless I have a valid reason for doing so. Using the same word twice can be jarring and sounds repetitive. 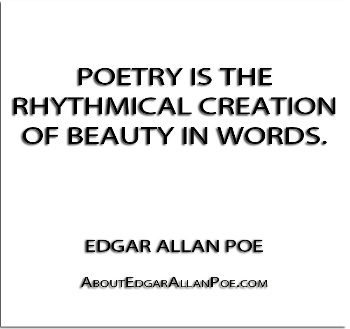 If you need to refer to the same thing within a poem, try a synonym or describe what you’re talking about. For example, if I use ocean in the first line, the next time I might speak about the sea, the crashing waves, or the deep blue color. If I use sea again, it is solely for poetic effect. This same rule holds true when I’m writing an article, e-mail, or even a Facebook post. Using different words keeps your writing interesting and colorful. Whether you love writing poems or use them as a tool to hone your craft, they will help you be a stronger writer and give your readers something to rave about. In what other ways does poetry writing help you?